A couple of months ago we continued our symposium series* by posting the Participatory Geographies Research Group’s ‘Communifesto for Fuller Geographies: Towards Mutual Security’ together with a set of seven critical responses from fellow radical geographers (see here). Today we’re pleased to be sharing PyGyRG’s reply. PyGyRG is a research group of the Royal Geographical Society (with the Institute of British Geographers); following the RGS-IBG annual international conference in July 2012, its members collectively penned what they call a ‘communifesto’ in August, thinking about “the insecurity of geography/geographers’ insecurities”. The communifesto offers a set of strategies and tactics at a time when academic life feels precarious, individualistic, and relentlessly competitive, when many radicals feel discontented with, maladjusted to and estranged from the academy. It’s a self-consciously “embryonic” document – a “communiqué”; a “work in progress” – “something we can continue to develop” as critical scholars resist and refuse harmful new developments in the university and creatively and constructively struggle for personal and disciplinary security. 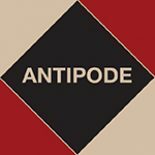 In September 2012 Antipode invited seven responses to the communifesto, interventions which would pull at its threads not to unravel them but, rather, to spin them on or stitch them into something new. Posted on AntipodeFoundation.org in October, the responses are as creative and constructive as the piece that stimulated them, but are certainly not uncritical. Thanks again to all our respondents – Salvatore Engel-Di Mauro, Iain Hay and Michael Scott, Rich Heyman, Sara Kindon, Natascha Klocker and Danielle Drozdzewski, Pamela Moss, and Mark Purcell – and the PyGyRG folks, especially Kelvin Mason and Kye Askins. *The symposium series began last year with Joel Wainwright and Geoff Mann’s ‘Climate Leviathan‘. Please get in touch – antipode@live.co.uk – if you’ve an idea for the next. This entry was posted on 23 January 2013 by Antipode Editorial Office in Other and tagged action-orientated research, Communifesto for Fuller Geographies, Participatory Geographies Research Group, participatory research, PyGyRG, symposium.